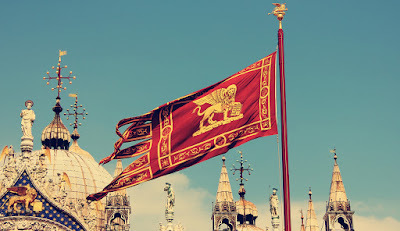 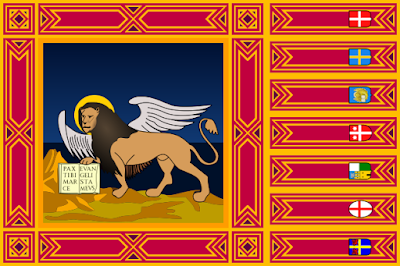 (Granted this is technically the historical flag of the Republic of Venice, but you get the idea.) 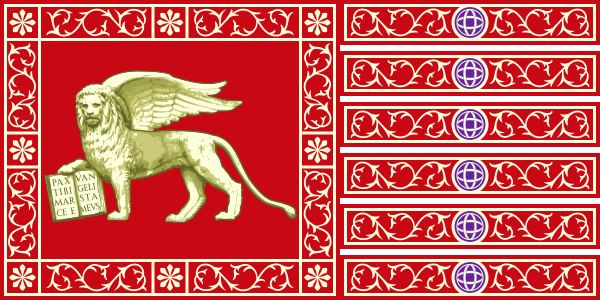 The modern 'tails' have the middle of the coat of arms of each of the capitals of the Veneto region. The seven provinces are, from top to bottom: Vicenza, Verona, Venice, Treviso, Rovigo, Padua and Belluno. The wiki-page for the flag indicated that a ribbon should be knotted just belong the finial of the flagpole as well.